Selecting a driving instructor can be a difficult task when you need help learning to drive or getting ready for your test. You can be confident that you are learning with the best when you contact Eclipse Driver Training. 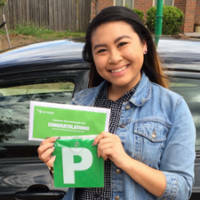 With so many successful and satisfied students contacting us to say thank you and giving amazing feedback on our driving lessons, we know our customer service and training methods set the standard for other instructors. Thank you for being the best instructor ever. I have gained new knowledge from you and my confidence has come back out again with driving. Thank you so much Richard for your effective teaching strategy in driving and for being an optimistic instructor. I will never forget you and I'll recommend you to my friends. Bless you more. Take care always and thanks again. "Shout out to my driving instructor Richard! He's the best. Very professional, friendly and patient instructor. I highly recommend him. 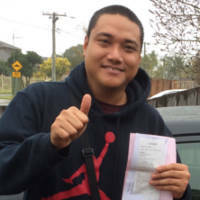 Thank you again Richard"
I highly recommend this driving school to every person out there who is willing to obtain their license. I've gained new driving strategies and techniques, driving with discipline that helps you to be a safe driver on the road in different traffic conditions. 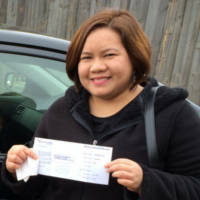 Instructors are always on time - thanks Eclipse Driver Training for helping me obtain my car license for the first time. "Richard is very professional and friendly with his teaching and still knows how to make the driving experience stress free. He's a very honest and down to earth guy who just wants you to be safe when driving on the road. Not only does he teach you how to drive safely on the road, he'll also give you tips on good driving techniques. Taking lessons with Richard was worth it! You won't regret taking lessons with him!" 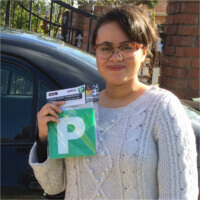 "Thank u Richard for teaching me how to be a good and safe driver all your help, suggestions and encouragement helped me to get a great result. Totally recommended best in west." 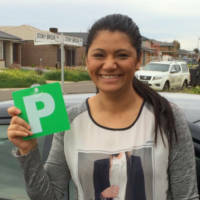 Thank you so much..I appreciate what you did for me..its because of you i passed my driving test today..thankyou for everything, i had a great time..keep in touch..
"A big thank you to my instructor Richard Riley, he is very patient, understanding, professional and good motivator. He makes good jokes to make you feel relaxed. Very friendly and good listener. He will not only teach you to pass your driving test but to be a good driver. He gives different driving techniques and at the end of your course you will feel your confidence on the road, checking of mirrors and speed will become natural to you, he doesn't blame you if you did wrong instead he motivates you and lifts your spirit. I'd never thought driving would become easier with him. Feeling proud to be one of your student. Highly recommended. You will never go wrong. Many thanks Richard. Thumbs up."